What a great show! 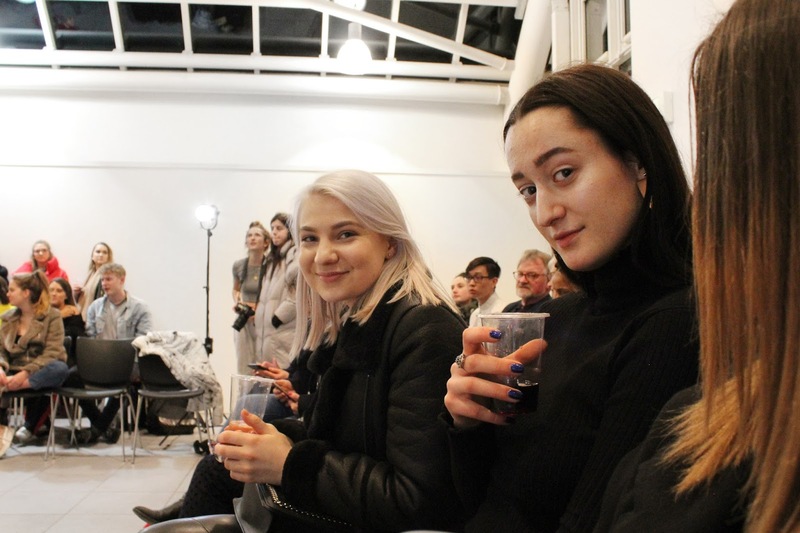 About a week ago I went to the NTU Knitwear show with the girls (and Oli). Check out Gabriella and Kotryna, they have amazing instagrams! 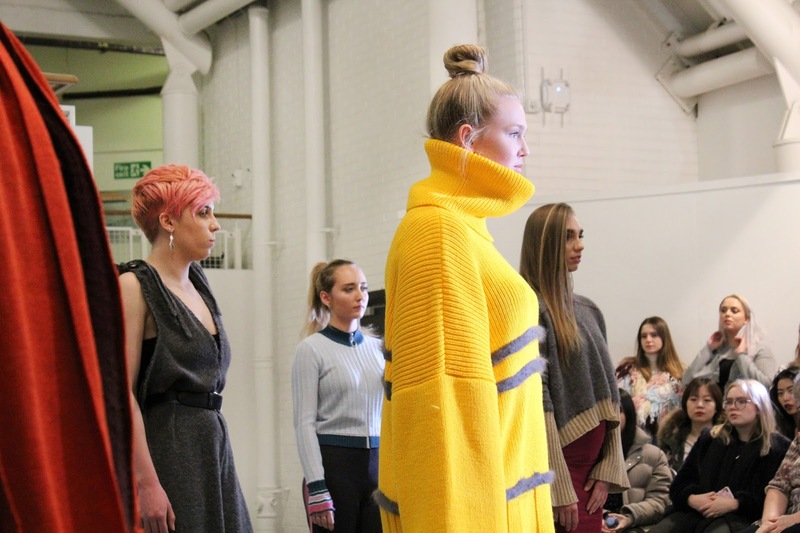 Its great to see other students work, and knitwear was always a show that I wanted to see. Plus you get free wine at these types of events and who doesn't love a bit of free wine! The show was brief but it was just a mid year one, it's the end of the year one that is always really big and exclusive. I'm really looking forward to that but nonetheless it was great to see some work now. As you all probably guessed from the pictures the chunky oversized yellow knit was my fave. The model looked fire and was super friendly. I believe the designer was Jessica Rose Braithwaite and you should check out her instagram, it's amazing. I just loved everything about it starting with he colour down to the fit on the model. It's something that most people wouldn't wear on a day-to-day basis but something that I definitely would! I'm all about that oversized look. It was also nice to see some girls from my course modelling too, you girls looked fab! 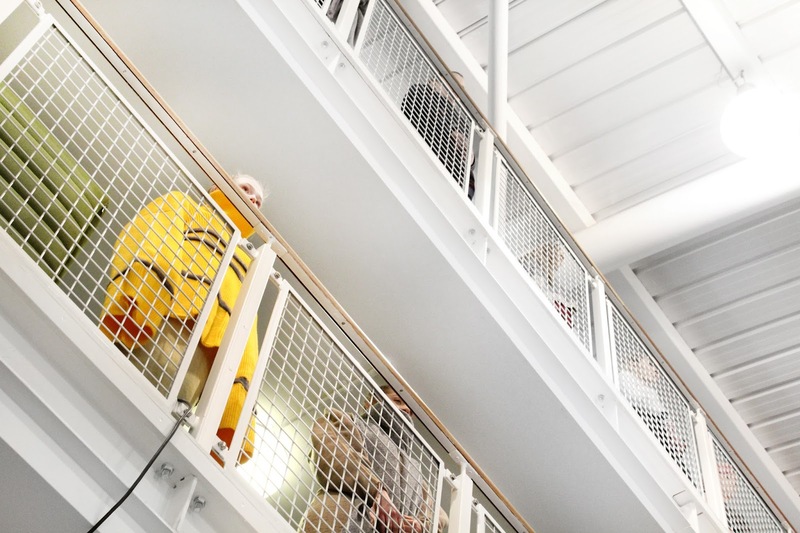 Can't wait for the degree shows! 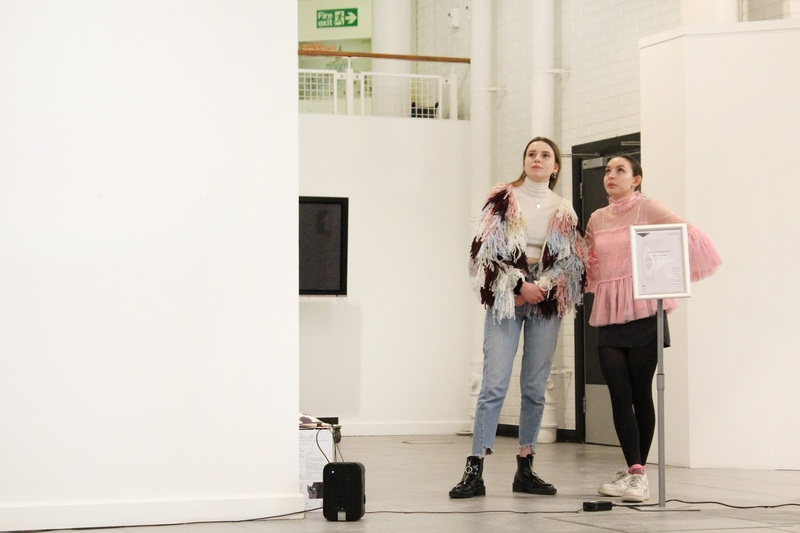 These photos of you, your blogger friends and the NTU knitwear fashion show are great! You and your friends looked fabulous and so did the couture.being modelled. I love the pink peplum blouse in the top photo, and the oversized yellow turtleneck jumper-dress in the second and fourth photos. A wonderful look at the Fall 2018 collection! Thanks, it was a great show. Some very talented designers!